After Waiting so Long, Where is our Kingdom Hearts 3 Review? Where is our Kingdom Hearts III Review? 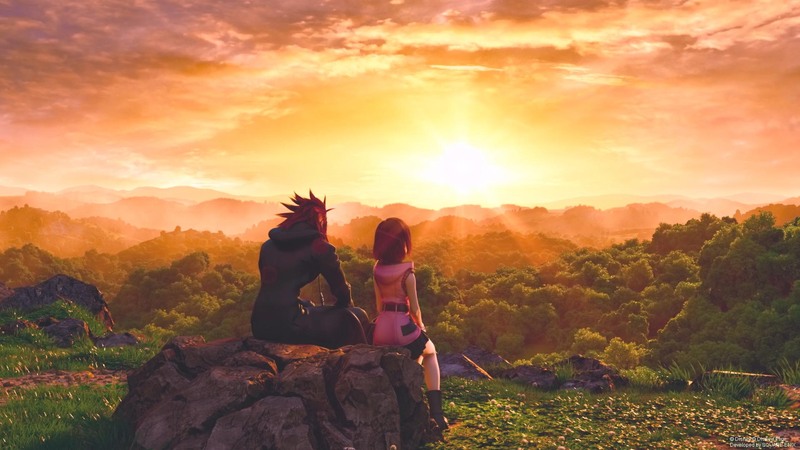 Kingdom Hearts III has been highly anticipated for more than 10 years, since that secret movie at the conclusion of Kingdom Hearts II hinted that there was more to the story. (That secret movie ended up tying into Birth by Sleep rather than Kingdom Hearts III proper, but it set up the anticipation for another console Kingdom Hearts well before the third entry in the long running and platform-scattered franchise.) We’re now mere days away from the game officially launching worldwide, with the Japanese launch already underway. Embargo for reviews has lifted, meaning we can tell you all about the game… but where is our review? We just got our hands on a Kingdom Hearts III code this morning. We were not among the limited and lucky enough to get a code in time to have a review for this 30+ hour RPG live for embargo, even as we’ve been waiting with bated breath, mashing the refresh button on our inboxes in hopes that we would see it soon. We had expected that with a game of this size, we might see a code well in advance of the embargo date, and while a few publications did, we (along with 95% of the rest of the games media out there) could not count ourselves among those with a review ready to go this morning. In fact, at this point our reviewer is probably still waiting for the game to download. We’re planning to have our Kingdom Hearts III review to you the morning of its US release. That’s when we’ll be able to tell you all about the latest adventures of Sora, Goofy, and Donald, and the newest entry in the strange mishmash that began with “what if we mixed Disney and Final Fantasy?” If you already know themeaning of words like “norted,” “heartless,” “nobodies,” and Organization XIII, then you probably don’t need our review to tell you if you want the game or not. But if you’re wondering why some spiky-haired, key-wielding kid is hanging out with a bunch of Pixar characters, you can find our take on January 29th, bright and early. Meanwhile, you can read up on all the latest Kingdom Hearts III news right here on PlayStation LifeStyle. What Do You Think of Riku’s New Keyblade in Kingdom Hearts III?